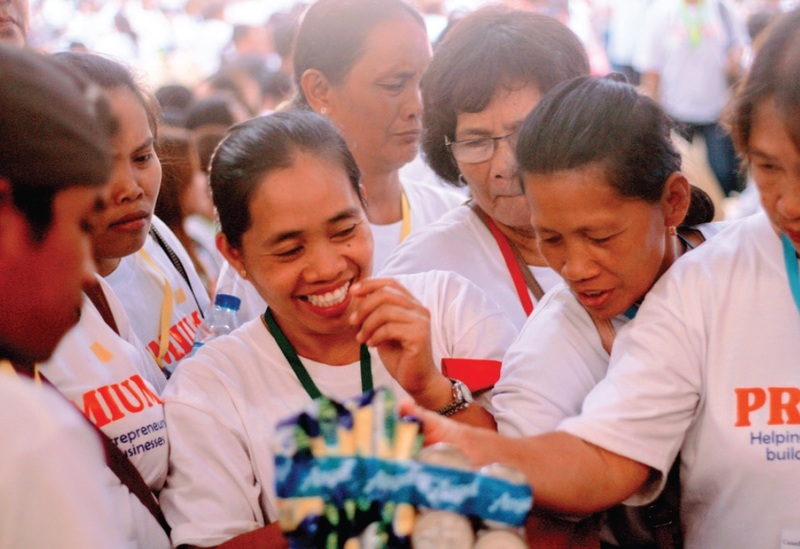 PALO, Leyte – A few years after Yolanda, a new day has indeed come for several thousand Leyte and Samar-based microentrepreneurs with the culmination of the Bagong Araw (New Day) Philippines PREMIUM project. A three-year-long program backed by the Government of Canada and the Co-operative Development Foundation of Canada, the Bagong Araw Philippines PREMIUM project sought to help sari-sari store owners in Yolanda-hit Leyte and Samar provinces through a series of seminars and workshops on basic business management, cashflow monitoring, product diversification, business continuity planning, and disaster preparedness, as well as access to additional capital and micro-insurance products. According to social enterprise Microventures Foundation Inc. (Hapinoy), its partner Center for Agriculture and Rural Development, Inc. (CARD) has disbursed over P 35,150,000 to 2,415 program beneficiaries throughout its three-year run or 140% of its end project target. Additionally, program partner Micro-Insurance MBA Association of the Philippines (RIMANSI) says 1,200 beneficiaries have availed of the Sagip Negosyo microinsurance product. In celebration of this achievement, 1,554 sari-sari store owners, officials from local government units, officers, and suppliers and distributors came together at the Leyte Academic Center in Palo, Leyte last Thursday, January 24, for the PREMIUM Caravan 2019.